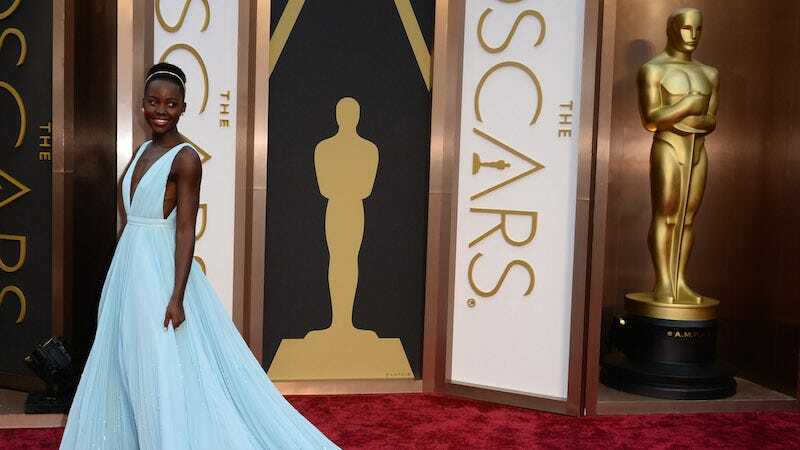 This week, a New York City man was falsely said to be dating film actress Lupita Nyong’o, an unfortunate occurrence that he says, sadly, happens to him all the time. “Love all! Lupita Nyong’o wears stylish headwrap as she and new boyfriend Mobolaji Dawodu attend US Open,” the Daily Mail reported today in an essay replete with three photos of the couple. The only problem—the man pictured is neither Dawodu, nor Nyong’o’s boyfriend, a strange mistake that has not, as of press time, been corrected. Here’s a side-by-side comparison of the man (on the left) and Dawodu (on the right), who don’t look much alike but share at least one characteristic. In fact, the arm Nyong’o is clutching in the photograph on the left belongs to William DeMeritt, an actor set to appear in the upcoming off-Broadway production of The Death of the Last Black Man in the Whole Entire World, who became friends with Nyong’o while both were studying at Yale Drama School. And it’s not the first time he’s been profiled in this manner—DeMeritt says he was also said to be dating the world-famous star in 2014, when he accompanied her to a Knicks game. “Not all brown people look alike—Google it,” he said when reached by phone. He says neither the photographers nor the Daily Mail ever bothered to ask him his name or relationship status, but simply assumed he was dating Nyong’o based on his appearance. Still, DeMeritt says he’s trying to keep a positive attitude.